In the four European countries most targeted by terror attacks — Britain, France, Belgium and Germany — the number of official extremists has reached 66,000. That sounds like a real army — on active duty. The terrorists’ ransom is already visible: they have destabilized the democratic process in many European countries and are drafting the terms of freedom of expression. A jihadist takeover of Europe is no longer unthinkable. Islamic extremists are already reaping what they sowed: they successfully defeated Geert Wilders and Marine Le Pen, the only two European candidates who really wanted to fight radical Islam. 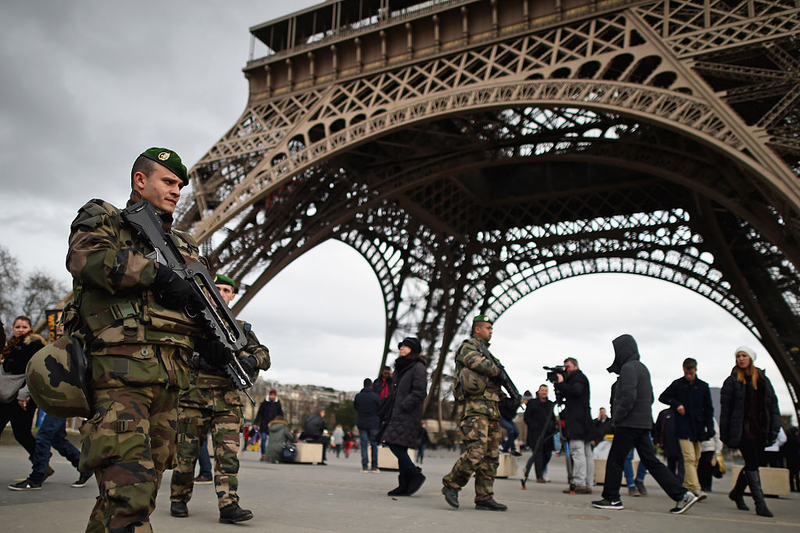 These Islamists have built a powerful infrastructure of terror inside Europe’s cities. These terror bases are self-segregated, multicultural enclaves in which extremist Muslims promote Islamic fundamentalism and implement Islamic law, Sharia — with the Tower Hamlets Taliban of East London; in the French banlieues [suburbs], and in The Hague’s “sharia triangle“, known as “the mini-caliphate,” in the Netherlands. These extremist Muslims can comfortably get their weapons from the Balkans, where, thanks to Europe’s open borders, they can travel with ease. They can also get their money from abroad, thanks to countries such as Qatar and Saudi Arabia. These Islamists can self-finance through the mosques they run, as well as get “human resources,” donated by unvetted mass migration coming through the Mediterranean. 23,000 potential jihadists in the UK, 18,000 in Belgium, 10,000 in Germany, 15,000 in France. What do these numbers tell us? There might be a war in Europe “within a few years“, as the chief of the Swedish army, General Anders Brännström, told the men under his command that they must expect. “4,724 people died from bombings. 2,588 from assassinations. 2,365 from assaults. 548 from hostage situations. 159 from hijackings. 114 from building attacks. Thousands were wounded or missing”. “Attacks in 2014 and 2015 have seen the highest number of fatalities, which includes terrorists targeting civilians, government officials, businesses and the media, across Europe since 2004”. If Europe’s leaders do not act now to destroy the enemy within, the outcome may well come to be an “Afghan scenario,” in which Islamists control part of the territory from where they launch attacks against cities. Europe could be taken over the same way Islamic State took over much of Iraq: with just one-third of Iraqi territory.